Get in the Ring is reaching out to the worldwide public to decide who will join us at the Global Meetup in Berlin this year. Coming from all around the world, 125 promising startups have been selected to showcase their innovation and compete for public votes. Take a look at the startups and help us decide who will join the most promising innovators on our global stage in Berlin on 17-19th June.
" We have created Next Generation Interactive Solar Inverter." We aim to evolve the energy scenario globally by starting at the end nodes by providing a mind pleasing experience to the users. 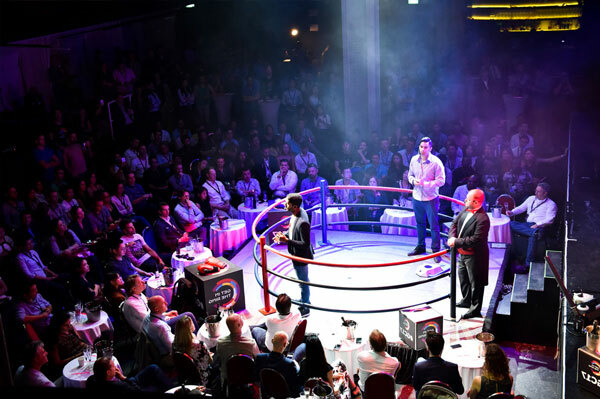 Get in the Ring is reaching out to the worldwide public to decide who will join us at the Global Meetup in Berlin this year. Coming from all around the world, 125 promising startups have been selected to showcase their innovation and compete for public votes. Take a look at the startups and help us decide who will join the most promising innovators on our global stage in Berlin on 17-19th June.